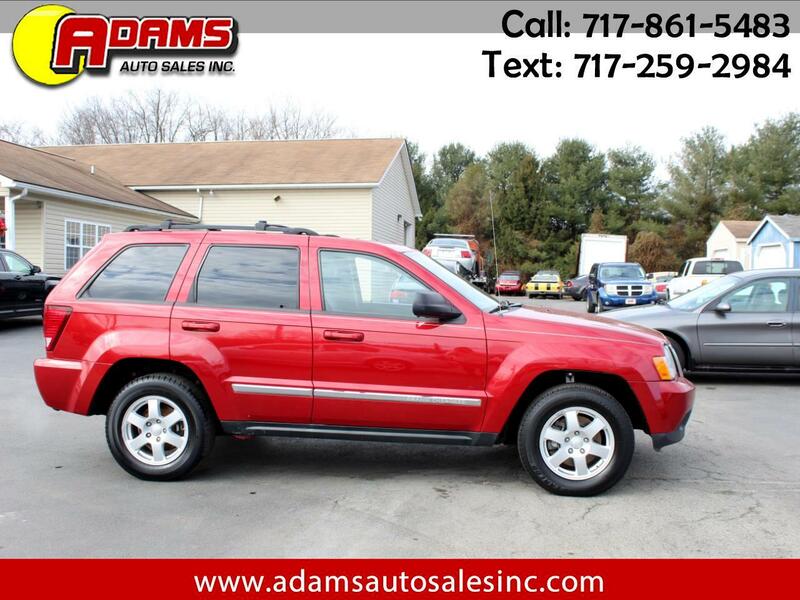 Used 2010 Jeep Grand Cherokee 4WD 4dr Laredo for Sale in Lebanon PA 17046 Adams Auto Sales Inc.
***PRICE REDUCED NOW ONLY $7,995.-! *** This 2010 Jeep Grand Cherokee Laredo 4X4 is loaded up with options. It is equipped with a V6 3.7 liter engine and an automatic transmission. It has a sunroof, power heated seats and alloy wheels. It also has running boards, roof rack and privacy glass. It has a beautiful maroon exterior and a black leather interior. Only 123,956 original miles. Well maintained both inside and out. Inspection and emissions are good thru December of 2019. It comes with a 3 month / 4,000 miles (whichever occurs first) powertrain warranty. Ask a salesman for more details. Free Carfax report is available. Stop in and take it for a test drive today.